Machine Stitched: This construction (nylonwoundcarcass/TPU) ensures soft touch and high durability. Main Material: 100% thermoplastic polyurethane. 100% butylene, injected molded. 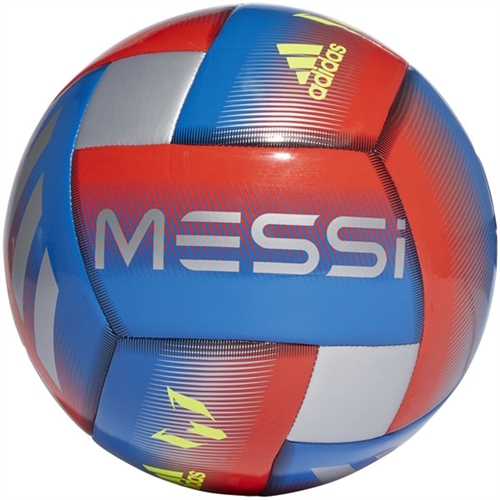 Our adidas Messi Capitano Soccer Ball is up for the challenge on game day and for practicing your moves. Construction features a machine-stitched body for a soft touch and a durable butyl bladder.